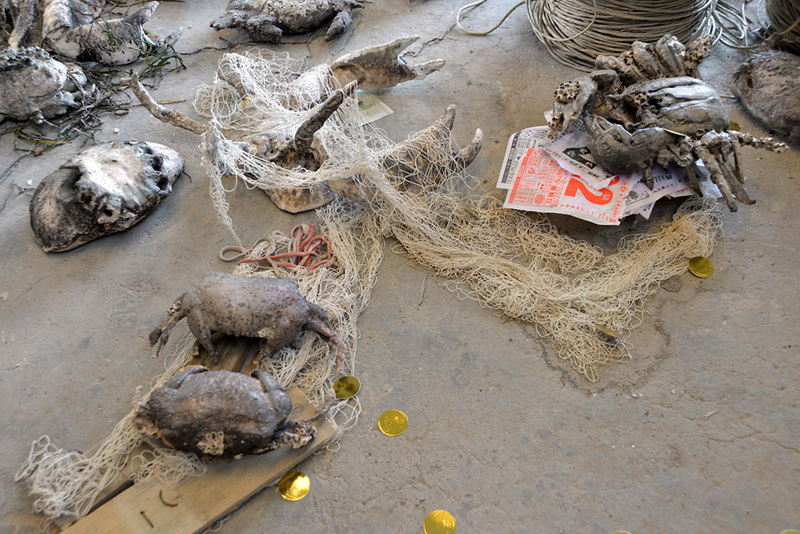 Oh my fellows please beware! 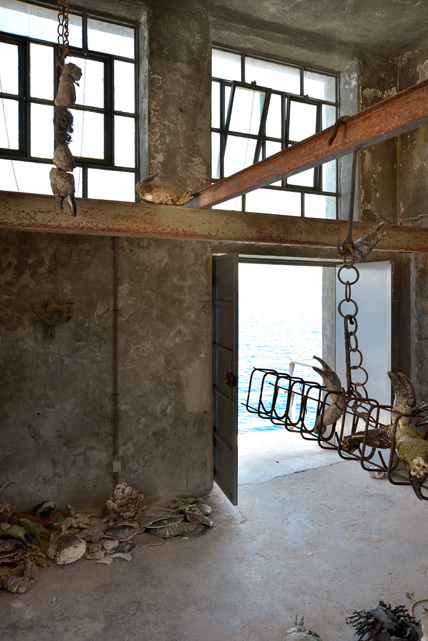 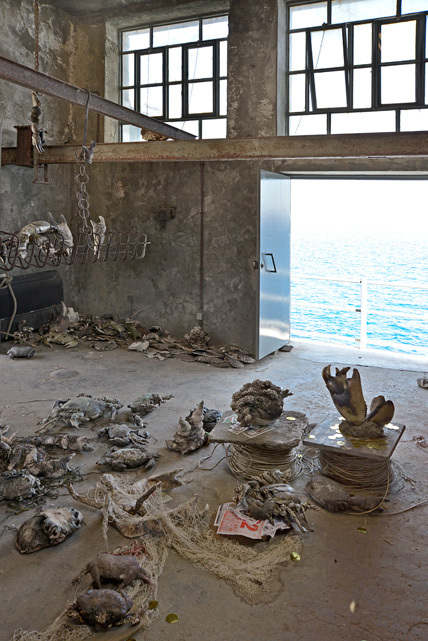 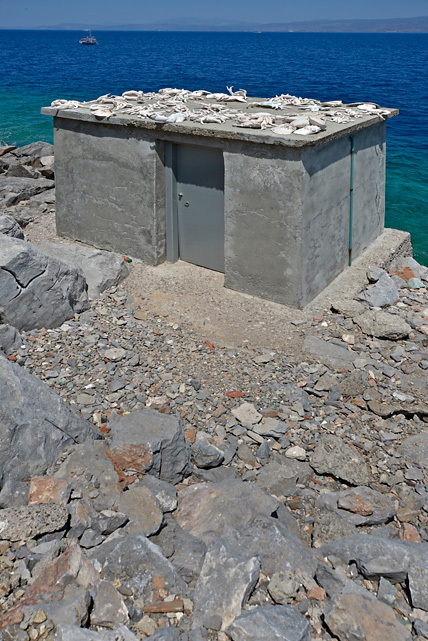 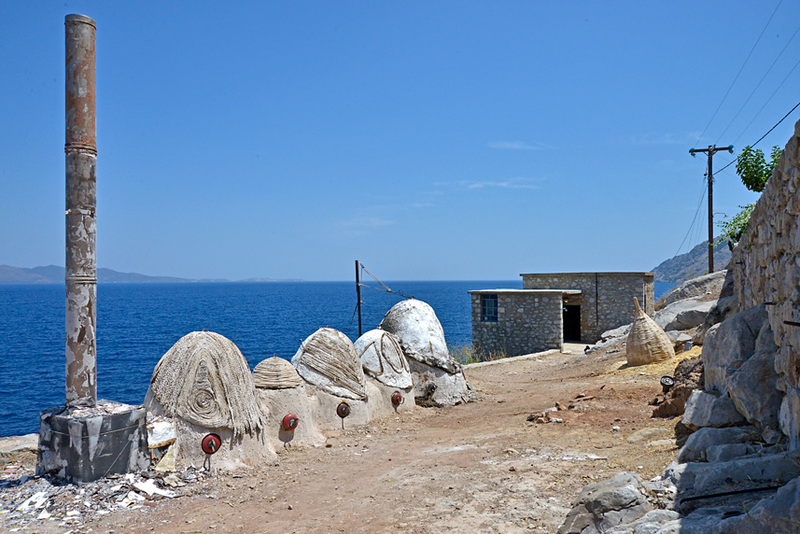 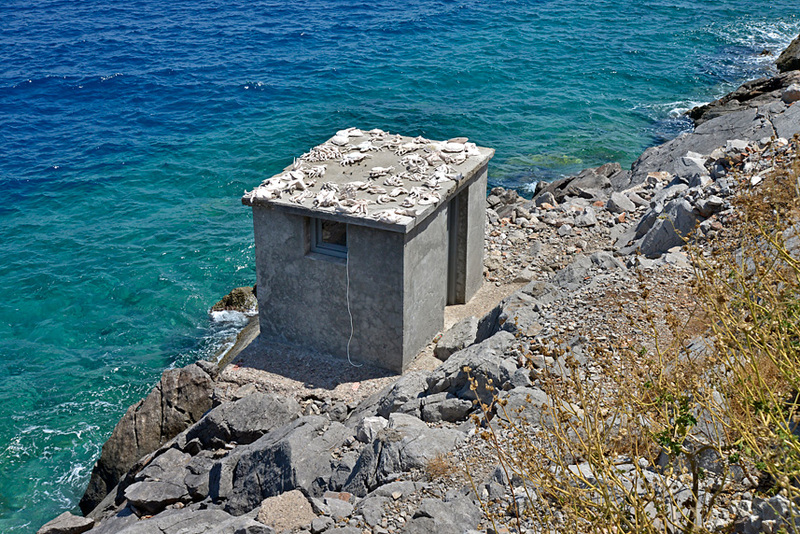 Every year since 2009, the DESTE Foundation’s exhibition space at the Slaughterhouse of Hydra Island hosts a series of site-specific contemporary art exhibitions designed by an artist or team of artists. 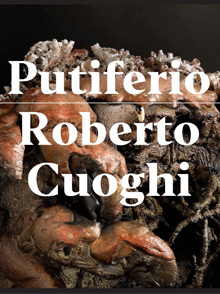 This year, the DESTE Foundation presents the exhibition Putiferio by Italian artist Roberto Cuoghi. 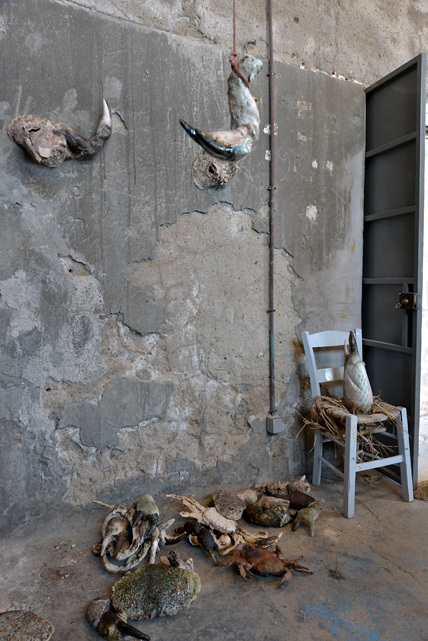 The show will be on view on Hydra Island between June 21 and September 30, 2106. 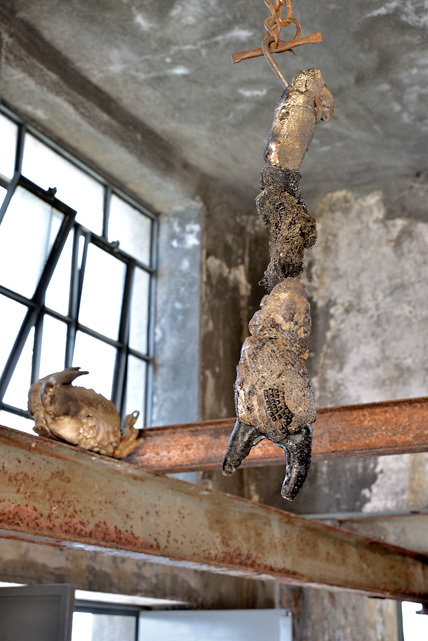 Putiferio in Latin means “to bring the stink” but can also signify chaos or a small taste of hell. 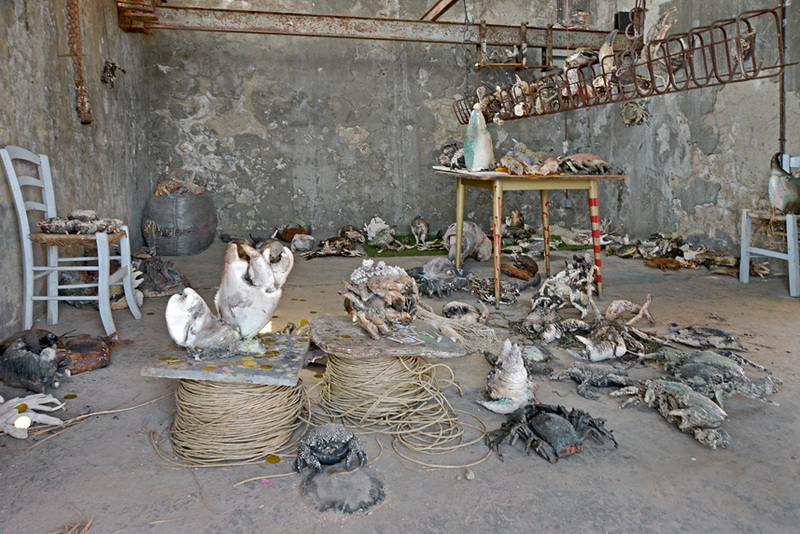 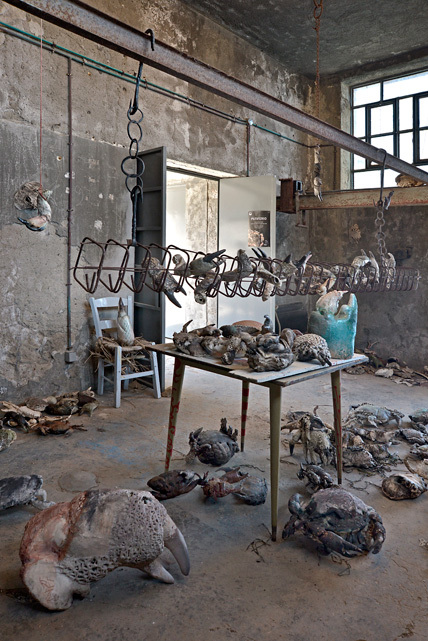 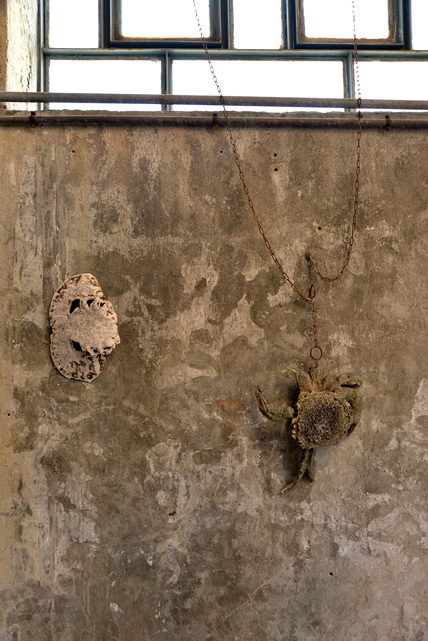 Cuoghi’s version of Putiferio is an installation depicting an invasion of ceramic crabs that were created by the artist and his crew using archaic firing techniques. 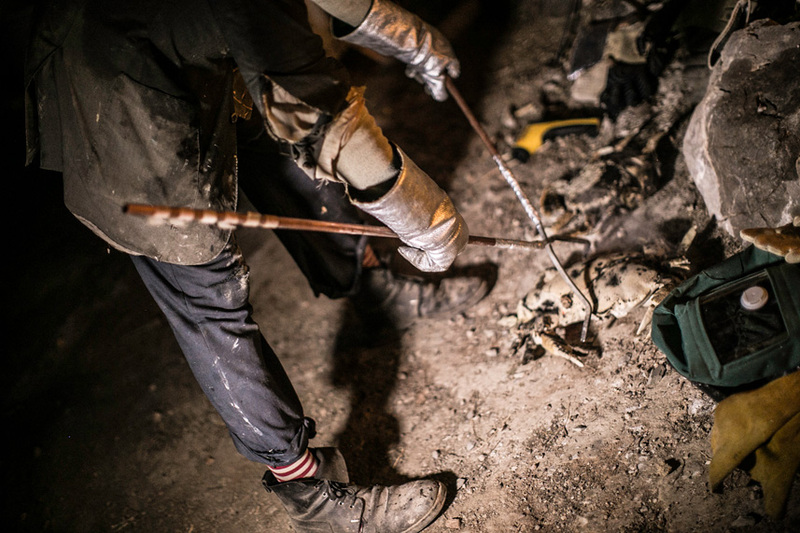 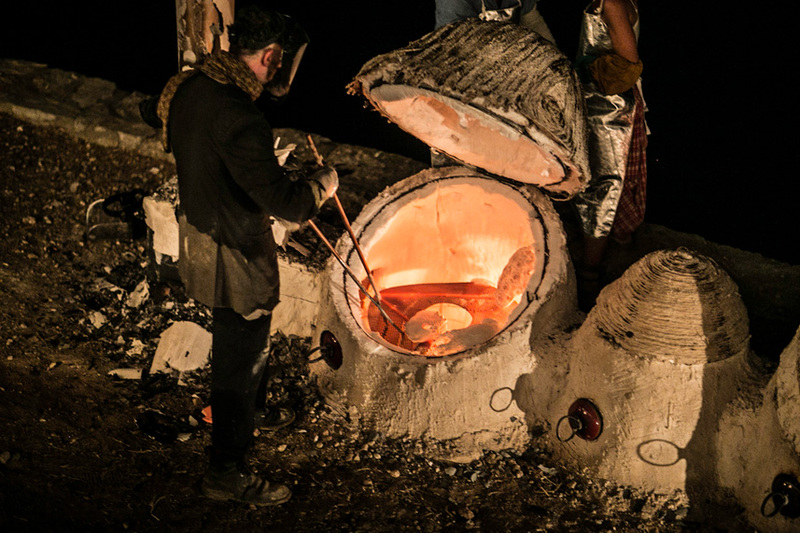 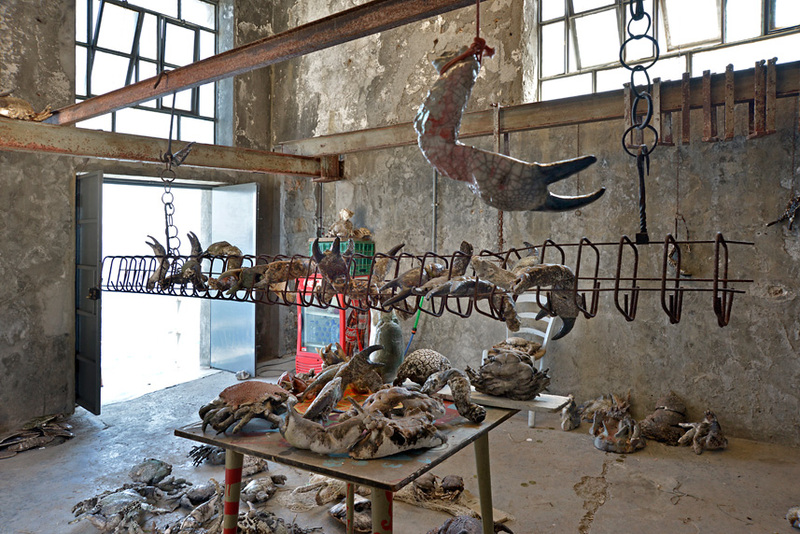 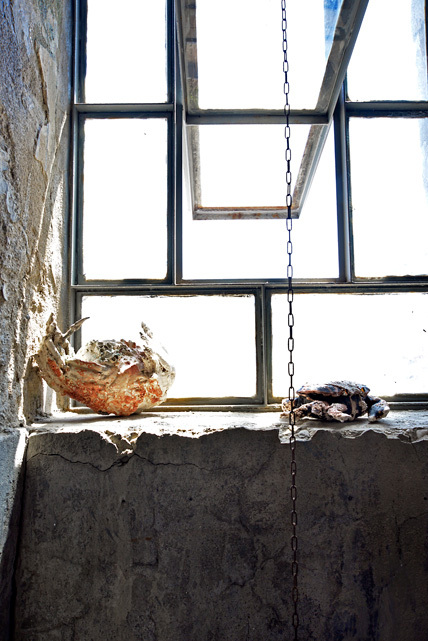 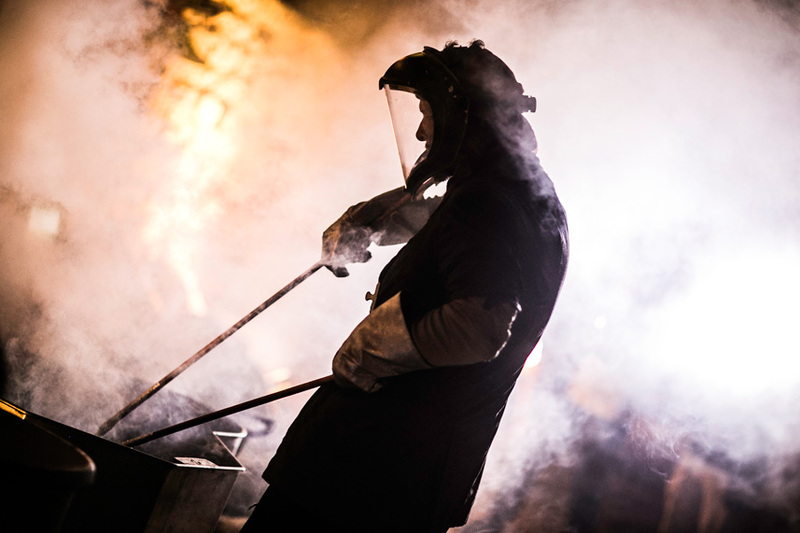 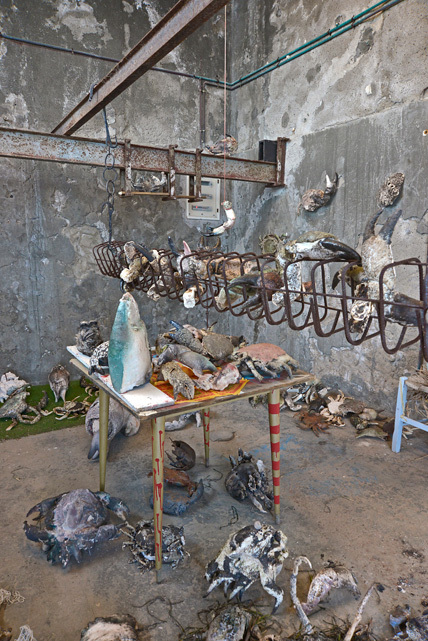 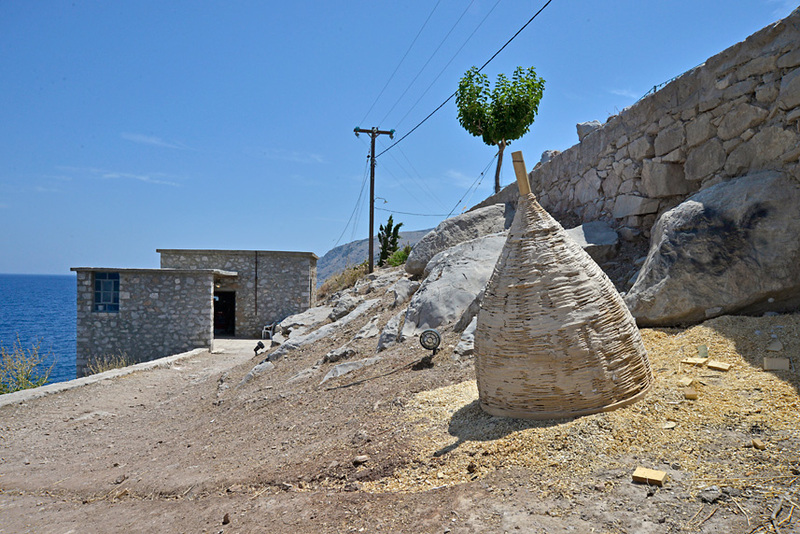 The concept of the project has its origins in Cuoghi’s initial site survey of the Slaughterhouse back in February 2016 when the several mason wasps’ nests that cover the walls of the Slaughterhouse led him to the image of a kiln, a primitive kiln, where to fire moribund creatures; not just a few, but dozens of freaks, an invasion of them, just like the mason wasps and their adaptation to the Slaughterhouse. 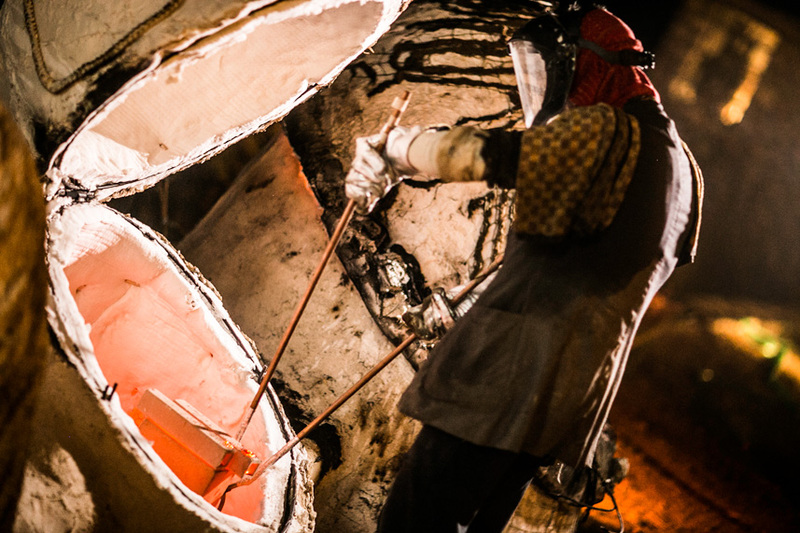 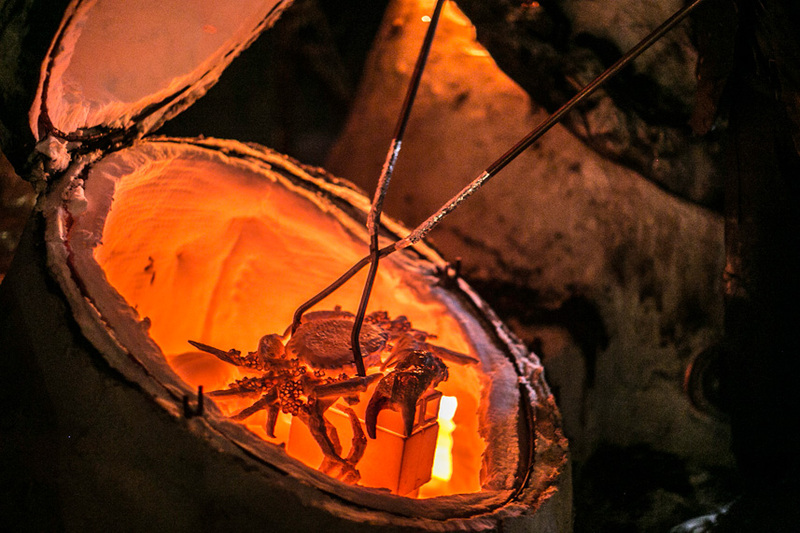 For the next several months, the artist performed various diverse experiments using sophisticated 3D technology and unpredictable archaic firing processes. 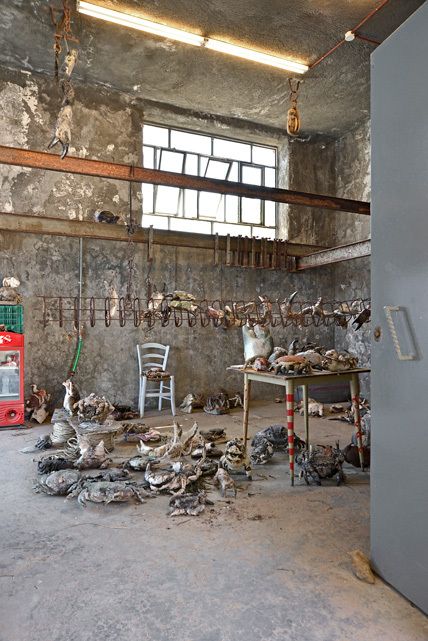 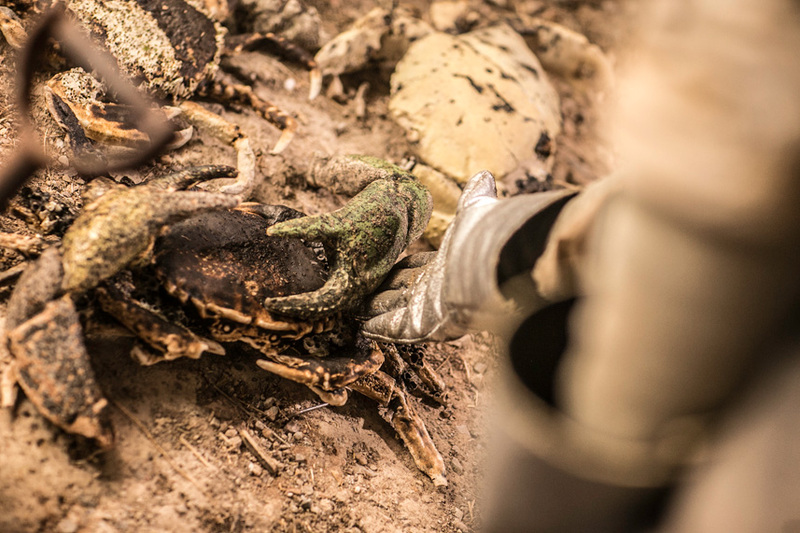 Then, on June 20, 2016, during the opening of Putiferio, Cuoghi and his team fired dozens of crabs using two different types of kilns: paper kilns and an experimental five-chamber kiln. 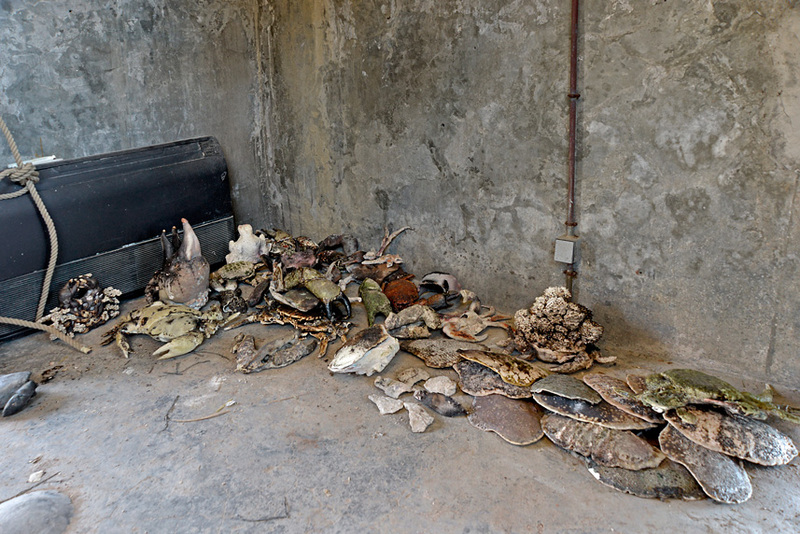 A few days before the opening, several crabs were placed in the paper kilns that had been filled with combustibles such as donkey dung, copper, spoiled fruit, coffee, sawdust, and salts of different kinds. 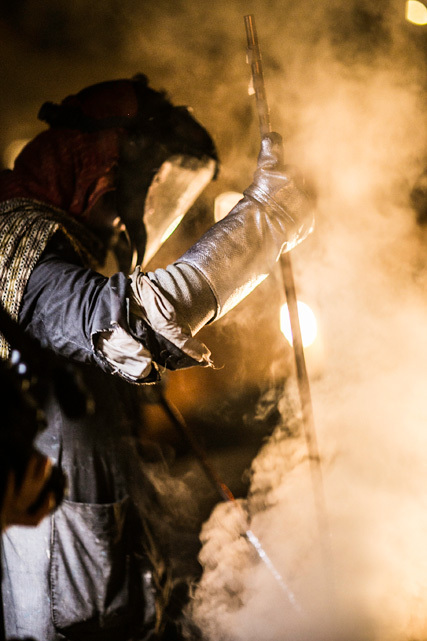 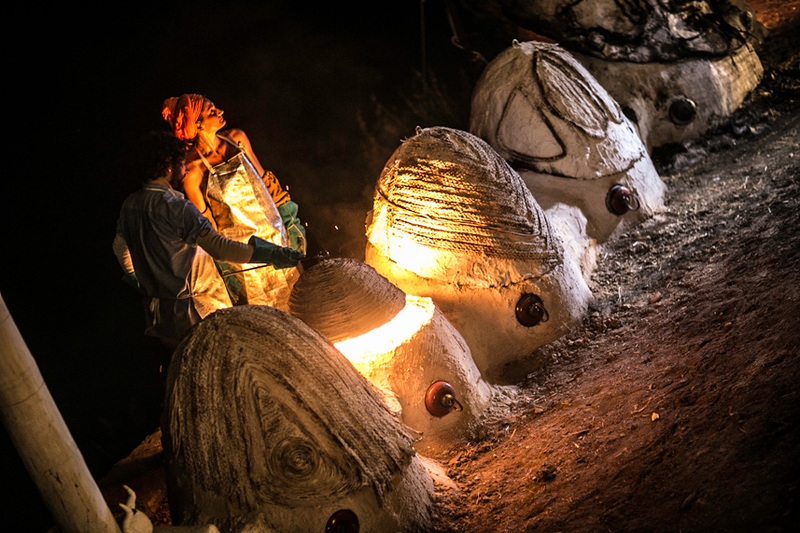 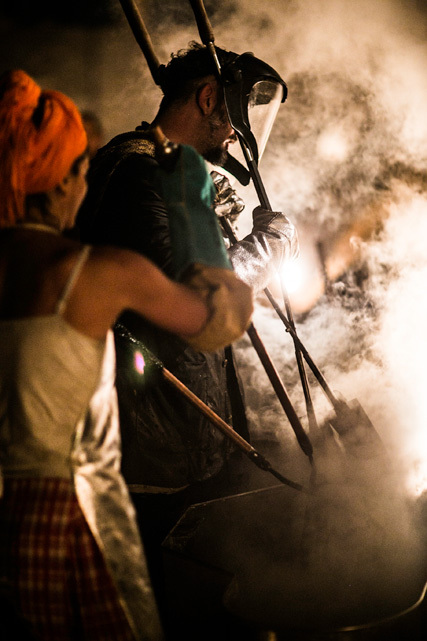 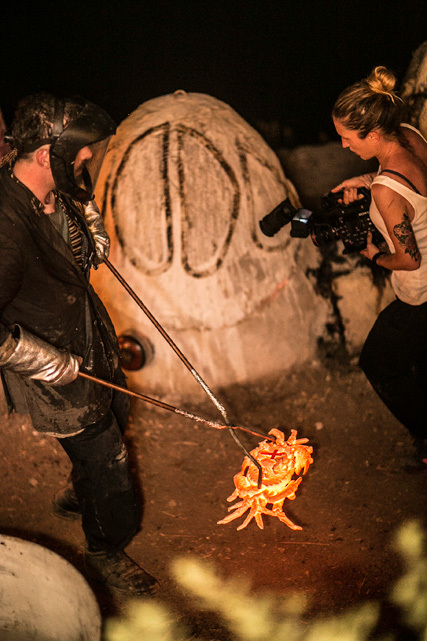 During the show’s opening, the paper kilns burnt down, only to reveal the fired creatures. 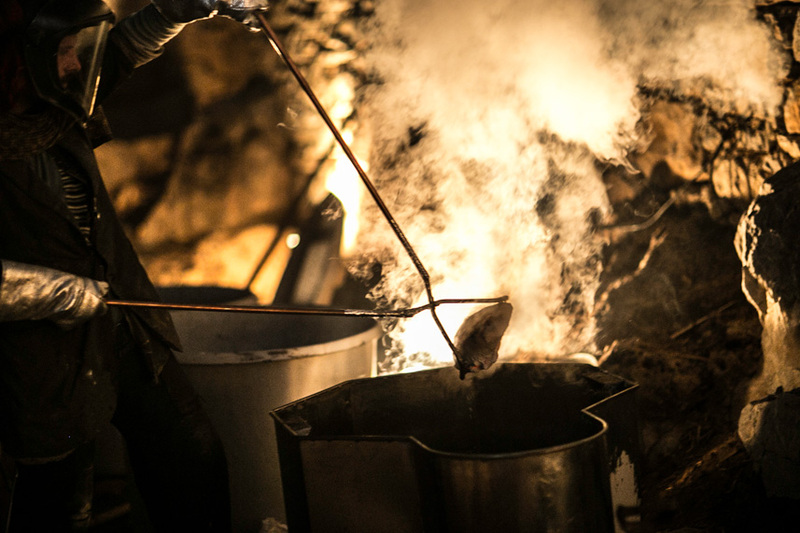 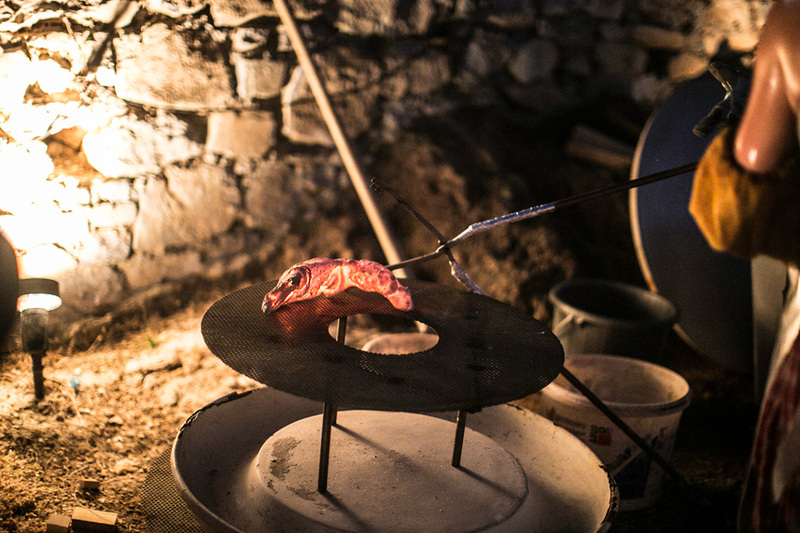 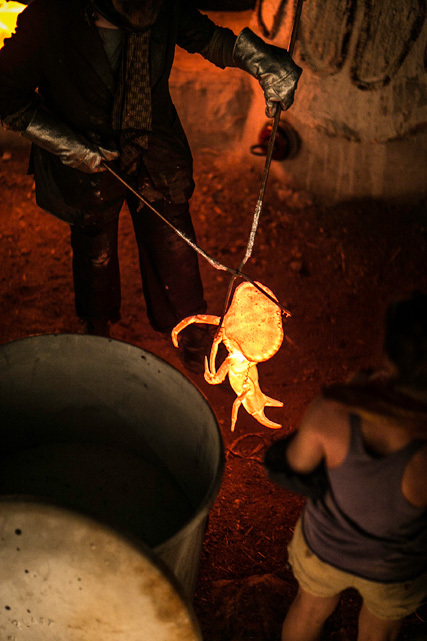 From the experimental five-chamber kiln (that reached a temperature of at least 1000°C) Cuoghi tongued out numerous fiery crabs and colored them either with the use of smelly brews made of yeast, proteins, sugar, bird feed, and iron powder or through a reduction process. 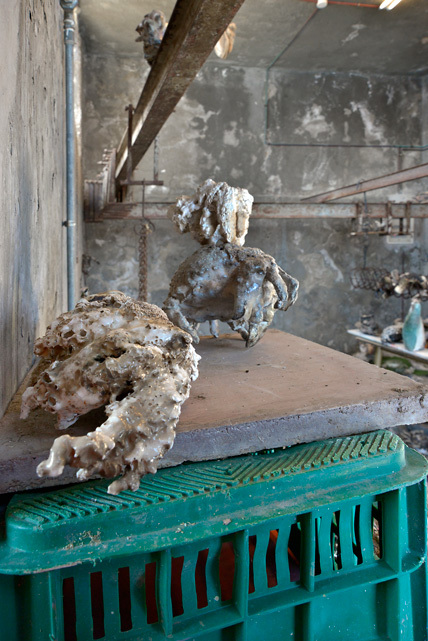 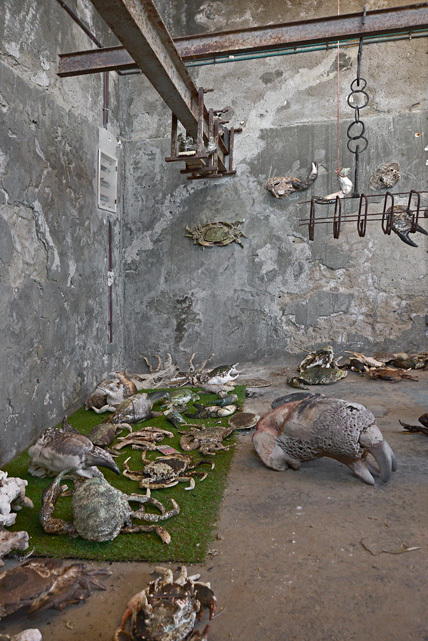 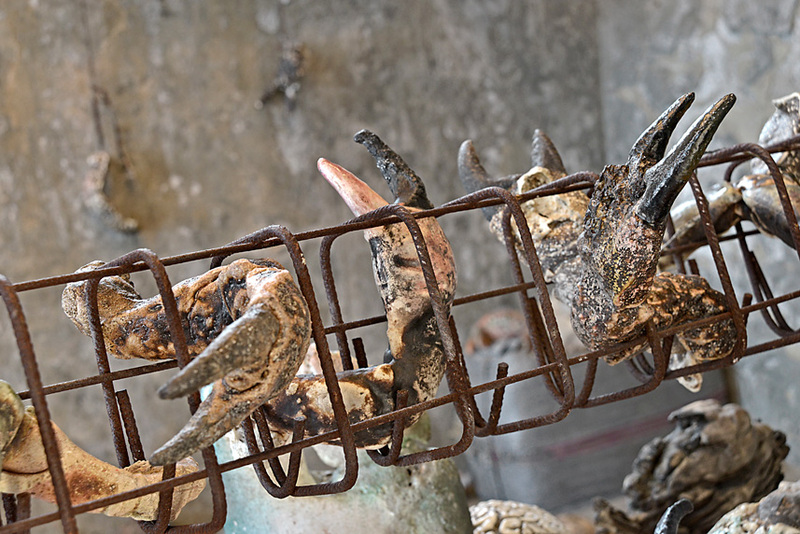 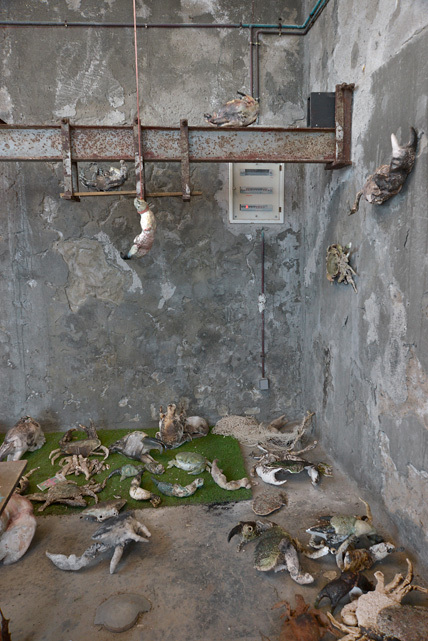 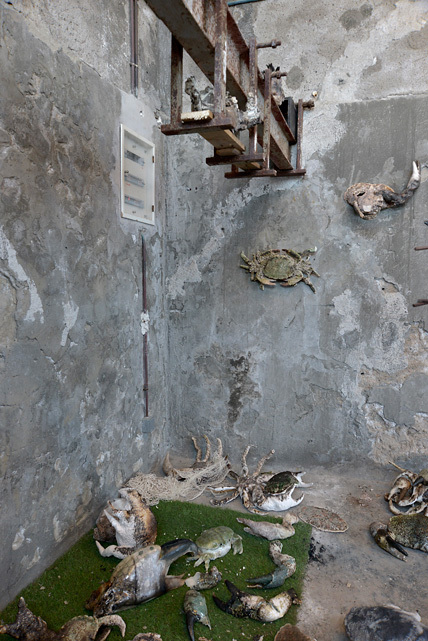 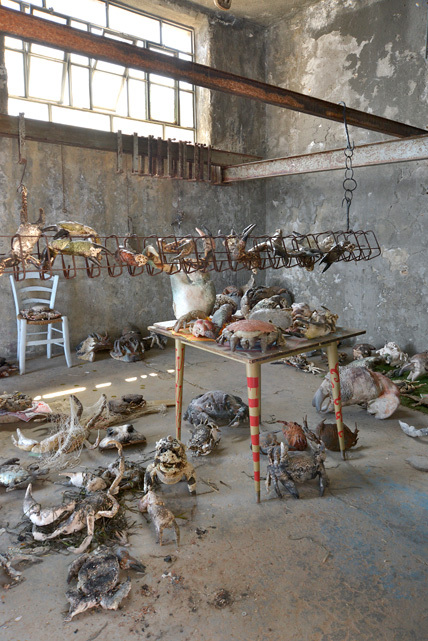 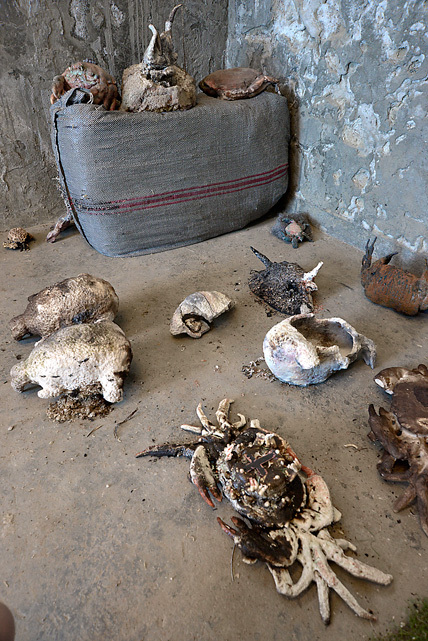 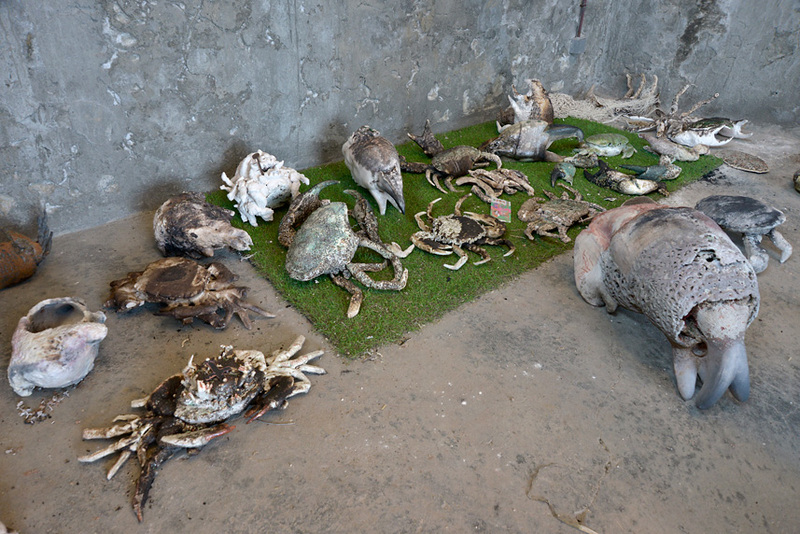 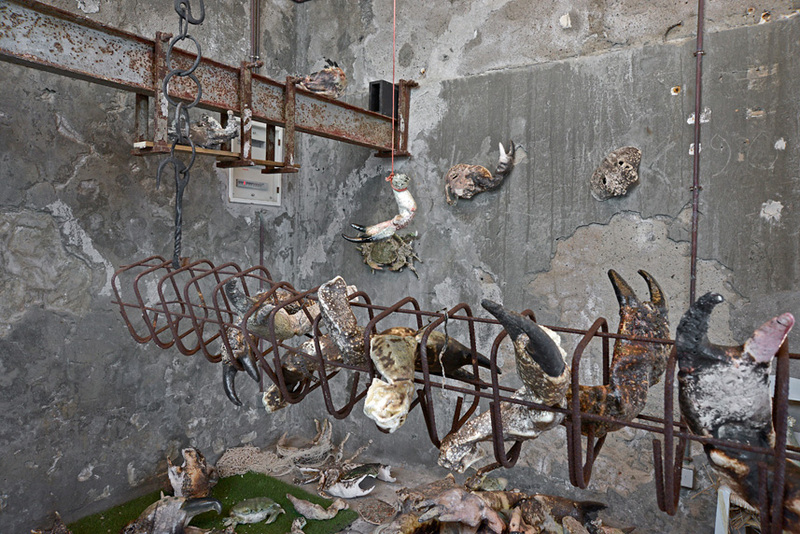 These crabs, along with other pre-cooked creatures are the end product of Putiferio and are currently exhibited at the Slaughterhouse. 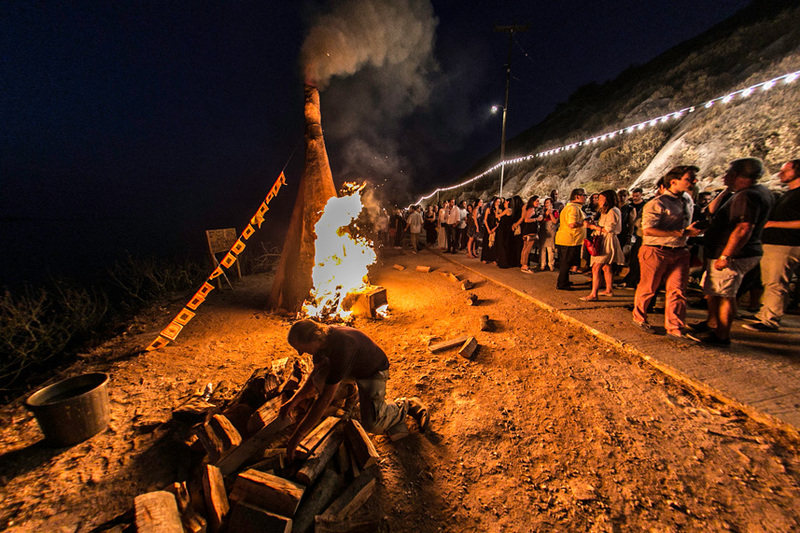 In the evening of the Putiferio’s opening, for the first time in about half a century, the summer solstice coincided with the full Moon (a rare astrological event known as the “Strawberry Moon”). 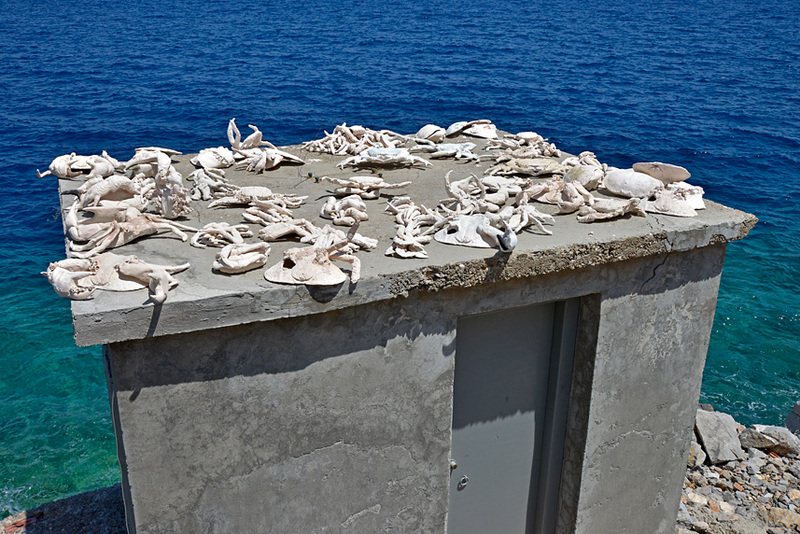 This phenomenon occurs when the Sun, while entering the Cancer Constellation, is directly over the Tropic of Cancer. 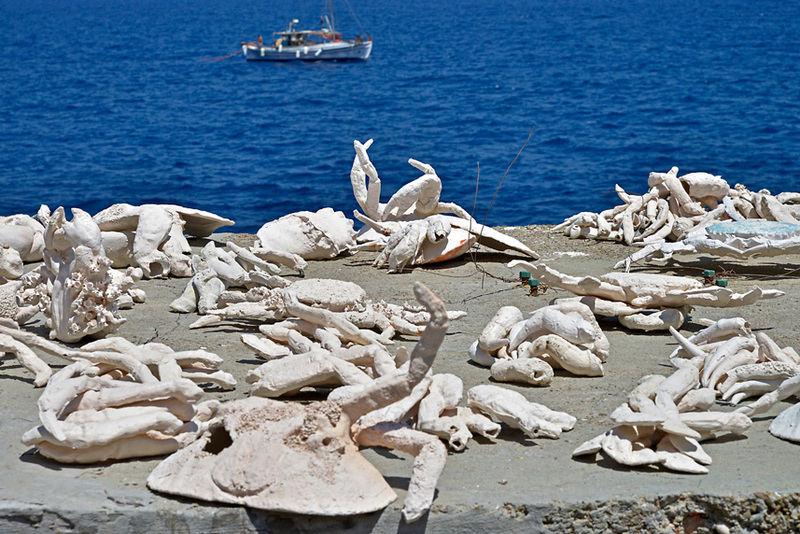 According to ancient Greek mythology, the Cancer Constellation originates in honor of Carcinus, the giant crab that guarded the entrance to the Underworld and assisted the nine-headed serpent Lernaean Hydra in its battle with Heracles at Lerna. 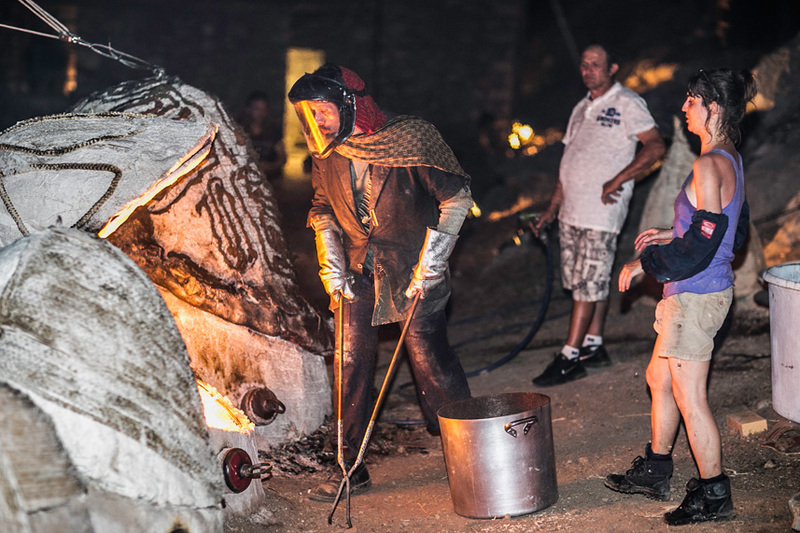 By landing exactly on the solstice, this full Moon does not only rise as the Sun sets, but is also opposite the Sun and is aligned to the rotation center of the Milky Way, the Galactic Center, which is the zodiacal place for intuition and where a supermassive black hole exists. 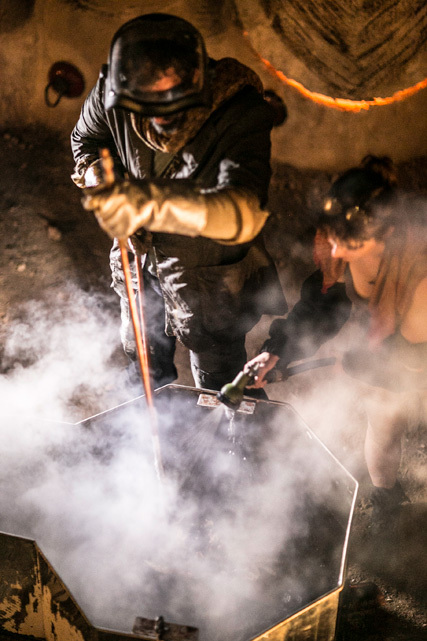 This rare event will again occur in 2062. 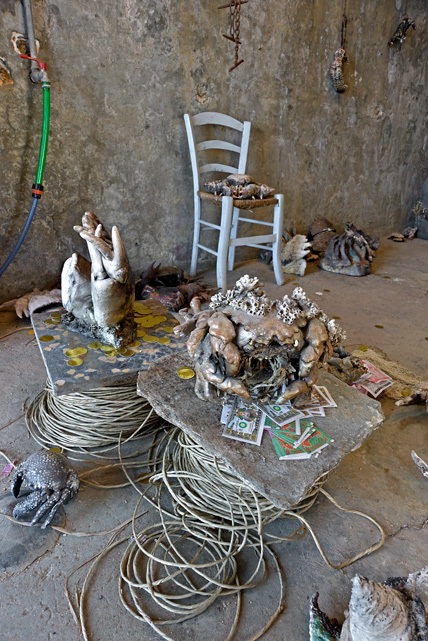 Now, several weeks after the summer solstice, Putiferio has become a celebration of the above mentioned very rare astral conjunction and combination that occurred during the opening.